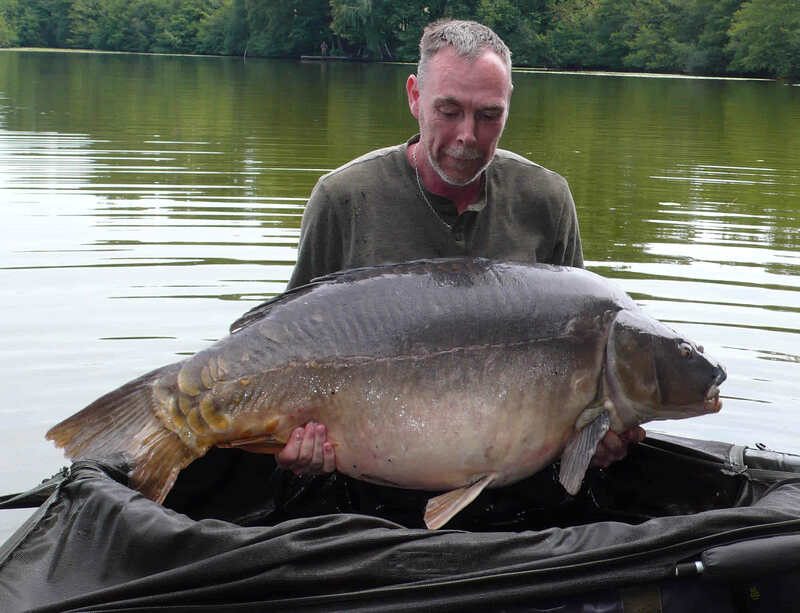 Andy Kay with a lovely Autumn 70lb 3oz mirror from Lac Serreire’s Island swim. Andy’s group had a great week on the complex landing mirrors of 76lb, 70lb, 55lb, 52lb along with a number of 40s. Most of the fish were caught on Crayfish & Crab balanced wafters over heavily baited areas of the same boilies.